Connect with friends, keep track of your fitness goals, and outsmart life while remaining at the height of fashion with the stylish and innovative Samsung Galaxy Watch 42mm 4G. With its familiar round face and hand ticking sounds, the Galaxy Watch feels and looks just like a traditional wristwatch. ^Cellular connectivity available on selected plans over your provider network only. Requires a paired compatible smartphone and internet connection. Additional charges may apply. Using GPS requires internet connection and may increase battery consumption. The Samsung Watch detects and monitors over 39 exercises, sleep patterns, and heart rate to give you an insight regarding your day-to-day lifestyle*. 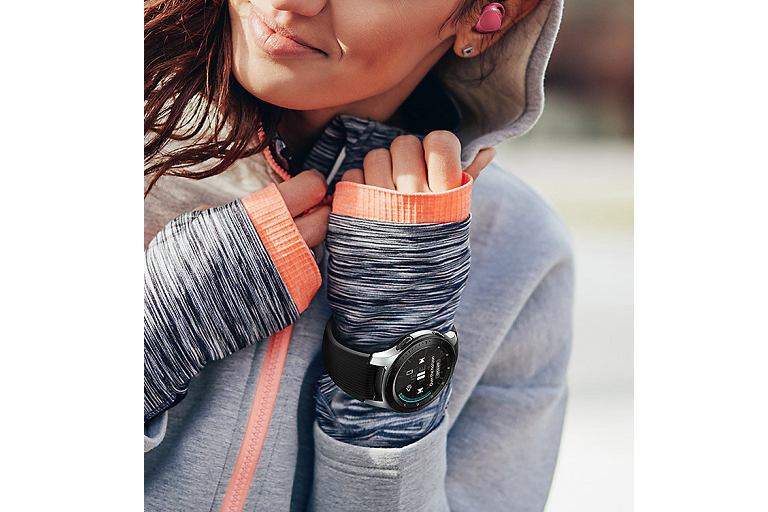 You can also use the watch in conjunction with the Samsung Health app** to keep track of your fitness goals, seek guided meditation programs, and more. 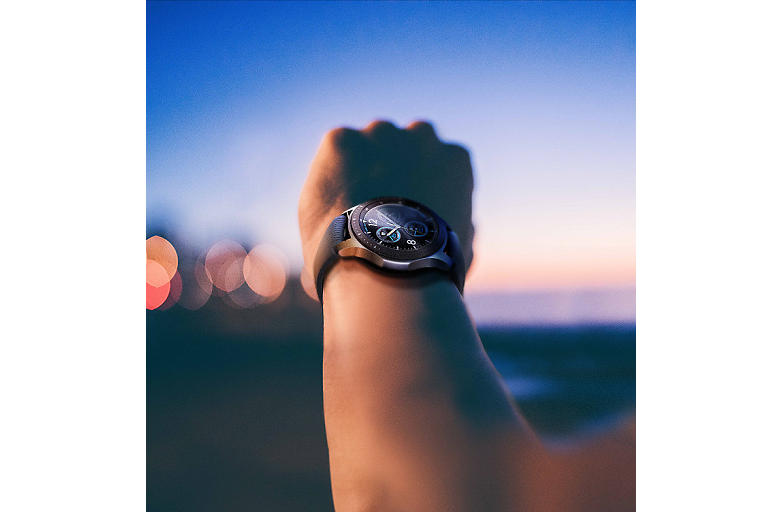 Use the Samsung Galaxy Watch in conjunction with the Samsung Pay app** to enjoy greater convenience and freedom when paying bills on the go. 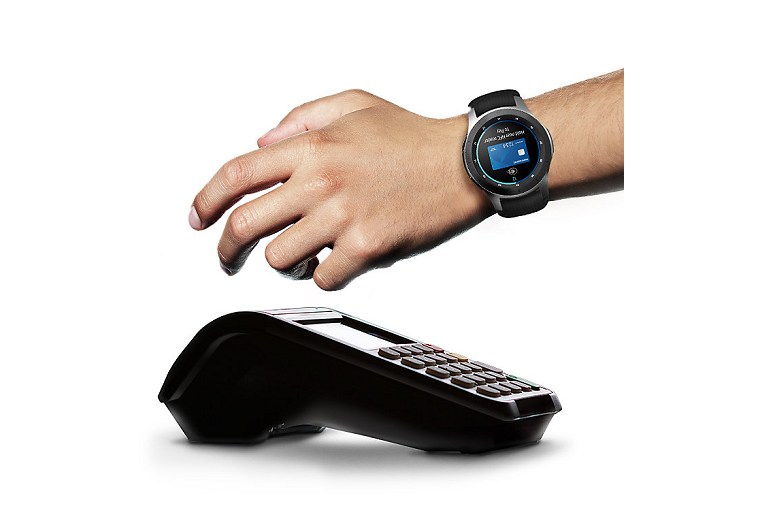 Easy to use, making a purchase requires only a flick of a wrist; even if your wallet and phone aren’t nearby***. 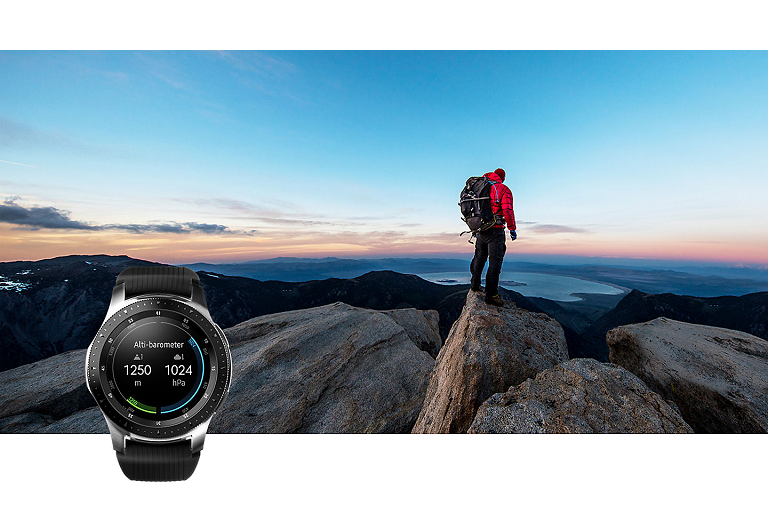 The Samsung Galaxy Watch comes with an inbuilt GPS^, altimeter, and barometer, so you can plot your course and be on the ready when engaging in outdoor escapades. It’s also water-resistant^^, so you can use it while swimming or even against a little rain. Keeping up with your busy lifestyle, the Samsung Galaxy Watch gives you the freedom to attend to calls and read messages all from your wrist. 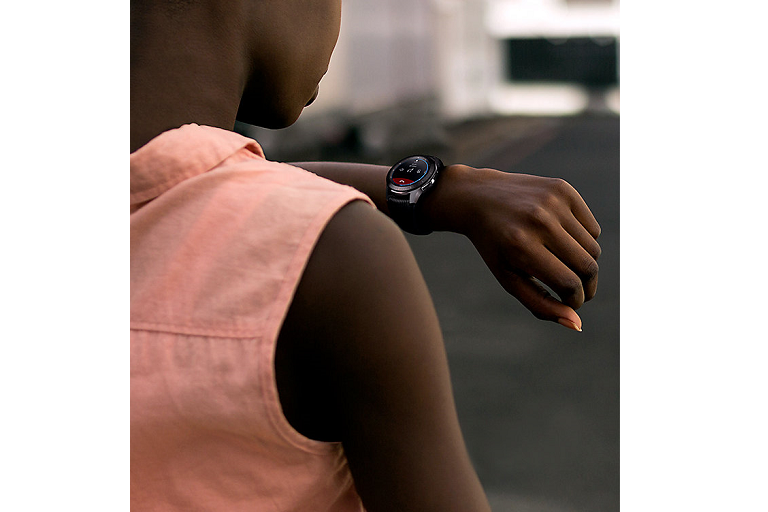 Thanks to its on-board storage, the Galaxy Watch can playback music locally or via a streaming site** while you’re on the go. With Daily Assistant^^^, the Samsung Galaxy Watch helps make every minute of your day count by sending reminders, meeting schedules, and other important notifications. At night, the Daily Assistant briefs you of remaining reminders and your health data for the day before going to bed. Perfect for the outgoing crowd, the Samsung Galaxy Watch 42mm 4G features customisable watch faces and interchangeable straps (straps sold separately) to go with your outfit or the occasion. 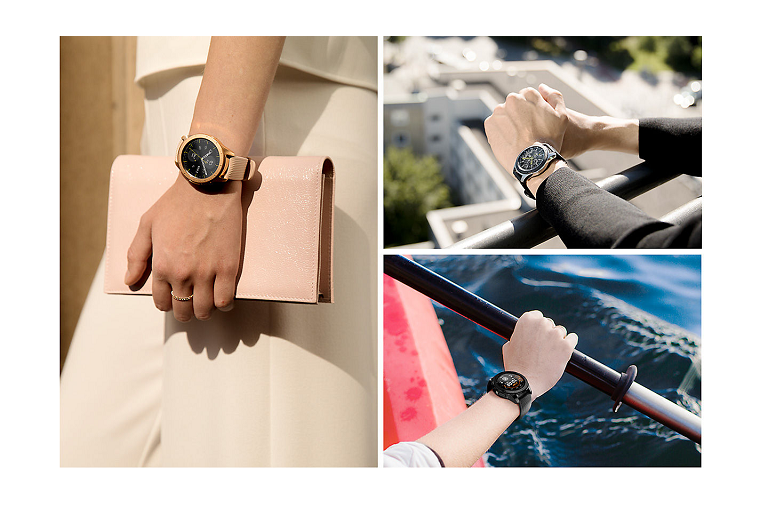 The watch faces also feature depth and lighting effects, so you can express yourself in a more fashionable way. **Download required. Internet charges may apply. ^^^This feature is compatible with smartphones supporting Samsung Customisation service ver 2.2 and above.